From this post on, we’ll be sharing with you how things are on our side of the screen! We’ll let you in on our thoughts and secrets as well as make sure to keep you updated on what we’re currently working on. Follow the bold and daring plans of our programmers, daydream together with our designers and graphic artists and get the overall vibe of Fishing Planet’s dev team! But first, let us thank you guys for supporting us from the start! We know and remember all those who were with us right from day one and feel that we’ve truly bonded after all these years. We couldn’t have done it without you! And now that we’re officially released it’s almost impossible to believe in the long road that’s been leading us up to this point for the past few years! We’re officially out on Steam as well as PlayStation®4. For those of you who asked about Xbox… Yes, we definitely plan to port the game to this platform and are already working on that! But the main focus atm is the new big update we’re working on right now! Those of you who were most attentive already noticed the Garage icon we added a while back and guessed correctly in thinking that we’ll be adding Boats soon! ;) Not much longer to wait! We’re already preparing a teaser video to give you a sneak peek! This awesome update will come out on Steam first, and after a month or two will become available on PS4. 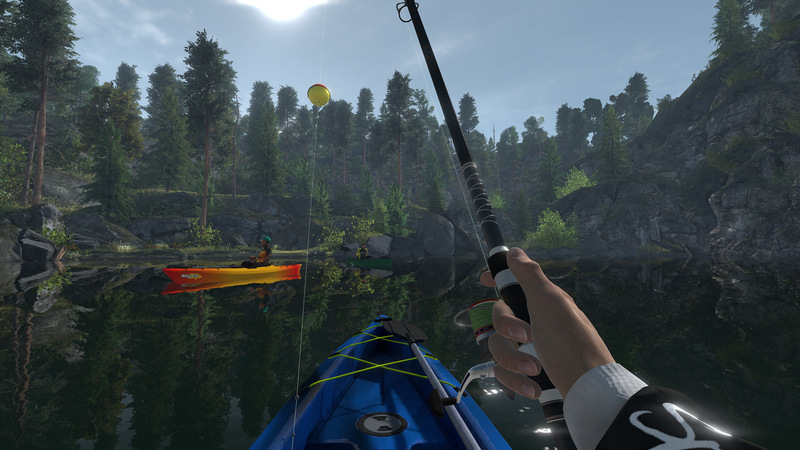 The first update with boats will feature kayaks that you can use for boat fishing on 5 waterways. After a while we plan to add zodiac boats, bass boats and other motorboats as well as extend our boat fishing waterways for more exploration opportunities. Way back in the beginning of our journey, the Fishing Planet dev team was just a handful of people with countless dreams and numerous plans! We wanted to add waterways and fishing destinations from all around the globe. And it was extremely difficult to narrow our point of focus and choose something specific to put our efforts into. But that choice was made. And as you all know - we began our journey with North America. The variety of fish species in this region played a significant part in this decision. The territory of USA alone is home to over 1000 different kinds of freshwater fish! There are as many as six types of Bass here, that’s not including the hybrid forms. Another reason was that one of our game designers is an avid angler who spent a lot of time traveling this region and was mesmerized with American waterways, knowing exactly which fish species are found there and what their behavior patterns are. But the game is growing and our plans are too! As much as we love these locations, we already started creating European and British fishing destinations. 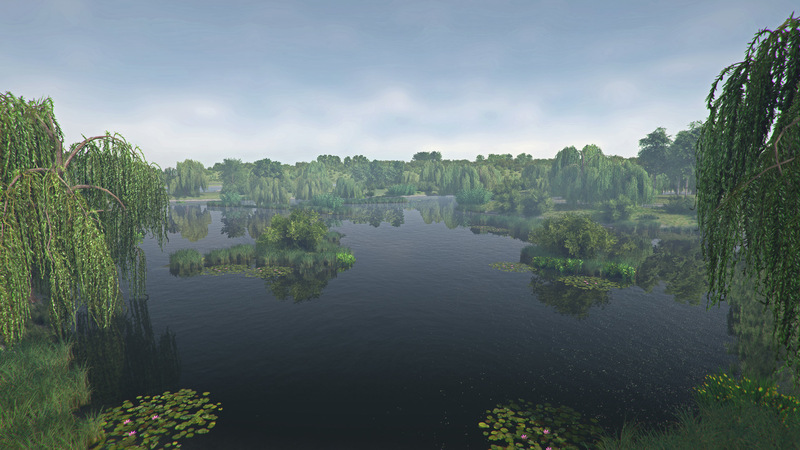 Actually, one British waterway is finished - Weeping Willow Lake and we’ll show you more screenshots soon enough! But that’s not all. We’re also busy working on 50+ new European fish species, that will be added to the game together with the new ponds. As we already told you in our Q&A, we plan to release the new waterways and fish species together with bottom fishing in one big update. We had plans to add bottom fishing for quite a long time and now finally began working on this cool feature! Right after we release the boat fishing update, we plan to put all our focus into bottom fishing development. Well, that’s probably enough info for now:) We’ll make sure to keep you informed about our plans and overall day-to-day life. It’s hard to decide what to talk about, so how about you help us out and tell us yourselves what you’re interested in and what you’d like to know more about? Please, comment below and let us know! Is there a good reason as to why ps4 has to wait a month or two for the boats update? I truly can understand a week or two as other platforms have had the game longer but the timescale that your suggesting is rather disappointing. Sounds fantastic, can't wait! Love the game so far and it can only get better. My wallet is already trembling in fear.. Sounds good. I really would like to see some kind of very rare items (gold reel or something) you can get from a" tackle box drop" like a random drop in the game so you get a chance of getting this very rare item or other rare items. My experience comes from rocket-league.com and they have a really nice crate drop that comes randomly when you playing the game. I think it would add a little more to the game and a always "maybe today i get a drop" and more excitement to the game. I would like to inquire info on fly fishing. Will you add it to the game? This is a welcome addition to the forum. 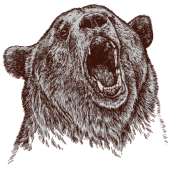 I've noticed on the Steam forum that lack of info on current status and future plans, etc., seems to be a major cause of frustration for some. I enjoy what's available now enough that I'm willing to wait for the dev team to get the newer features as right as they can before release. Y'all do a very respectable job. Thanks for the heads up. I've tried, but there seems to be a plague of deafness there. I think this is not easy for you but please try to keep PC and PS4 version near and together i wish you'll can do it ! I'm your first fan, since the first release and i'm happy to play your game every days ! Thanks for that ! Vanghy ( Salvatore fan? ), I couldn't agree more regarding topwaters and nightfishing. I'd take that over boats, and I'd certainly take it over bottom fishing. Zzzz, that's boring for real. I love this game ( my bank account doesn't! ) and whatever we get is welcomed by me. Look at it this way - anything they release on PC first highlights the niggles and gives them time to fix them for us PS4 players lol. The Halloween baits are in NC store, so presumably the Gar-O-Ween fish are on the way if not present already. Nice to have devs that communicate, unlike the huge faceless publishers who only want another billion. But yep, topwaters. We need those, and not just for bass. Pike go nuts for topwaters between April and November here in UK. Edit: I actually remember having a perch on a topwater too on Llangorse lake. Fluke, but it happened. Can't wait for the game updates to drop in a month. Looking forward to fishing in the new waterways where ever they'll be. Where did you get a month from? No timeline was stated. You're setting yourself up for a fall and a narky post. When it happens it'll be awesome, but unless I missed something reading the OP 4 times, you've plucked ' a month ' out of the air?
" A month or two after Steam release " was the comment. For what its worth some people have to cut em some slack regarding updates on ps4. The verification process on ps4 is much different than pc and sony actually goes through it themselves to verify which almost always adds 2 weeks or a month to the process of a large update. Theres a few examples of coinciding updates on certain games but that usually requires bigger teams and holding back the pc release to coincide with sony verification. At any rate thanks for all the hard work on such an awesome game and I look forward to you expanding on it over time. I'd rather have perpetually evolving games over yearly sequels any day. And, not wishing to tempt fate or belittle the devs in any way, the rest. They have so much going on even I find it unbelievable - topwaters, night fishing, boats, Europe, jerkbaits, swimbaits.... We have to accept we will always be behind PC, as that platform is what this game is optimized for and they've had it for 2 years now. Changes are coming. Not many other devs participate on forums. They've just given us the Halloween baits the PC had.. I agree with you and I wasn't complaining about it, well that wasn't my intention anyway, if came across different then I apologise. I don't think I've ever played a FREE game as much as i have as this one before, the only other one was RESOGUN when the ps4 1st came out. The way I read this, the updates and new features will be all inclusive in the current main game software without the need to purchase say Fishing Planet - European Waterways. That’s awesome of the developers to do it this way vs. the way other software developers who create additional venues as purchase options. Much appreciated guys! Would be cool to share our new ride with a fishing buddy or two, but appreciate you bringing it this far. Big thumbs up to the Fishing Planet developers! The kayaks will be awesome along with the new waterways. I also love these new forums. Whenever I'm fishing I always remind the folks in the room about the new forums and I provide the web address. Hopefully we can get more and more folks constructively involved. Respect FP team. It's nice to be informed of what is to be. As one of the players whose been here since Sept' 2015, I have been through all the updates (some good some iffy) and, look forward to the new updates. A quick word about your "new rival"..... Pretty awful archaic graphics has already made it a no no for me. That's so nice to hear about European waterways and bottom fishing. I am bottom fishing myself so can't wait for it. I wish i could choose from different methods of bottomfishing like Method Feeder etc.My dream about Fishing Planet comes true I hope you have some British anglers in your team to get the knowledge about bottom fishing. BTW, even if Europe waterways comes as buyable DLC - I'm buying it ! If you can I’d recommend attempting to add VR support the environment is already rendered well enough... you’d need to mod controls for Be sticks. but I think it could be an amazing game for VR. You guys should really make the game available for xbox 1!